2018 is quickly approaching and with it will come a slew of new video game titles to look forward to playing. With that said, now’s a good time to start marking down what video games to keep an eye on when they officially launch next year. Let us lend a hand, in this list, in particular, we’re going over the top co-op video games launching in 2018. State of Decay 2 is a zombie-survival game that lets players have their own unique story. 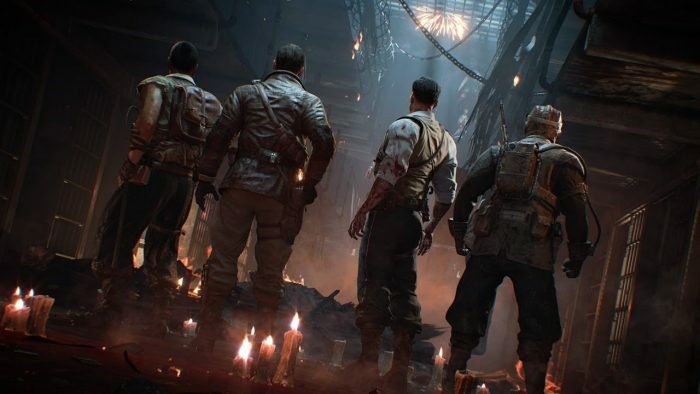 While battling zombies is very much a key aspect of the upcoming title release, players are encouraged to work together in setting up their own community that’s able to successfully take out the undead threat. While the game may not have been the biggest success for fans of the first installment this is still a game well worth trying with a friend especially if you are an Xbox Game Pass subscriber which the game will be available for free. If you’re looking for a free-to-play MMORPG experience then Dauntless from developers Phoenix Labs may be well worth looking into. This is an upcoming fantasy-based video game which features players becoming Slayers who are tasked in taking down Behemoths around the world. Developers have worked closed with Robert Kirkman, the creator of the iconic franchise and it seems that we’re going to finally get a chance to enjoy this game towards the end of this year. So far the game looks quite a bit like the Left 4 Dead series where four players can join together and fight off the undead. A Way Out is an upcoming action-adventure journey from Hazelight Studios. This will be the second video game to be directed by Josef Fares who you may be familiar with from his previous title, Brothers: A Tale of Two Sons. This is a unique action-adventure video game as it will require two players with the display being split-screen regardless of playing the video game locally or through online. All-in-all, the narrative is based around two inmates who must survive and escape a prison. Their stories will be told simultaneously and while one character may be in a cutscene, the other will be able to freely move and execute their tasks. Seeking to create a thrilling co-op experience, developers Ghost Ship Games is developing a title known as Deep Rock Galactic. This is currently an Early Access title that can be purchased today, though you can expect some changes and bugs until the final release launches. Within the game, players are tasked with working together in digging into the underground as they collect valuable resources through cave systems. Caves are procedurally generated with enemies and loot to collect making it a new adventure every time you start. Currently, the game offers four-player cooperative gameplay which you can try out today. Rebellion Developments has been around for over twenty years and has launched a number of video game titles such as the Sniper Elite series. However, their latest work is Strange Brigade an upcoming cooperative third-person shooter filled with both puzzles and survival horror elements. What we know so far is that this is a video game based in the 1930s, where the British Empire has established a fearless group known as the Strange Brigade. Players are then tasked with seeking out the strange and supernatural areas to uncover what lies within. Furthermore, the game will feature four player co-op which means you and your friends can blast through the undead. There seems to be a massive amount of undead coming at players so you may not get the same vibe and feel as Left 4 Dead though, at the same time, the reveal trailer does show players unloading assault weapons into the horde rather than rushing to safety. Sea of Thieves is an action-adventure title that is centered around pirates. Players will take to the open seas with their cooperative crew as they search for hidden treasure and taking out other pirate crews that show up along the way. This is an MMO game where players will consistently run into each other throughout their various adventures. Combat will take place both in ships and on land as well, giving players the full pirate experience. Players will also be able to attend safe-zones where they can trade, hire on new crew or even dabble into the black market goods. Just as before, players can expect the title to deliver as a first-person shooter in an open world environment to explore either on foot or through vehicles. However, the campaign can be experienced both as singleplayer experience or through cooperative multiplayer. Likewise, the game will include a map editor where players will be able to build maps with objectives to complete for when gamers finish the main campaign. Within Mothergunship, players are part of a global resistance group that will fight against an advanced alien species from controlling the Earth. Players can join together in a co-op experience in this FPS bullet hell video game. Within Mothergunship, players will craft their own unique guns to fight against monstrous enemy ships and machines all while avoiding the bullets being sprayed your way. Divinity: Original Sin 2 takes place after the first installment. During a time of wars and religious persecution, Bishop Alexandar the Innocent declares all Sorcerers to be criminals. Now a group of four Sorcerers embark on a journey to defeat the Bishop. Players can join together in a party as well making the journey cooperative. The game did originally release on the PC platform back in 2017 where it was a massive hit from both critics and fans alike. Now Xbox One and PlayStation 4 owners will get the chance to go through the game towards the end of August. Fallout 76 is the latest upcoming installment to the Fallout franchise though it will be a bit different in comparison to past main installments. Bethesda has developed Fallout 76 to be an online multiplayer title that takes place before previous Fallout games. Because this is an online game, players can join up together and manage their settlement. Unfortunately, parties can only go up to three players but the option to play with a friend or two is in the game. Since this is an online survival sort of title you’ll likely want the help and aid of a friend to begin with though there will be local area voice chat options so you can always meet other players as well if you’re flying solo. One of the areas that we think will get plenty of cooperative gameplay action is in the Zombies mode. This has always been a popular mode for Call of Duty fans and the upcoming installment will have a few maps to go through. Depending on the map, you may find yourself battling zombies set in the Roman times, on the RMS Titanic or even within the Alcatraz Federal Penitentiary. Developers are also really putting an effort in expanding the experience players have within the Zombies mode such tweaking the mystery box weapon outcomes and adding in new easter eggs for players to uncover.